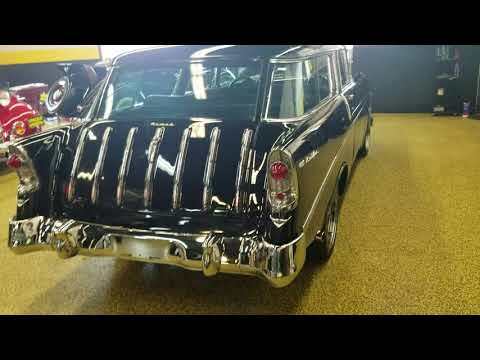 1956 Chevrolet Nomad! All new paint, chrome, stainless trim and interior within the last 3 years! VERY sharp! 350 V8, auto transmission, turns heads everywhere it goes! This car came in on trade to us just the way you see it, the previous owners used it to go to shows and to advertise their business in the process! We did notice that the gauges are currently not working, but other than that she goes down the road great! Take a look at all of the pics and videos, and if you still have questions please email or call 507-386-1726. TRADES CONSIDERED!